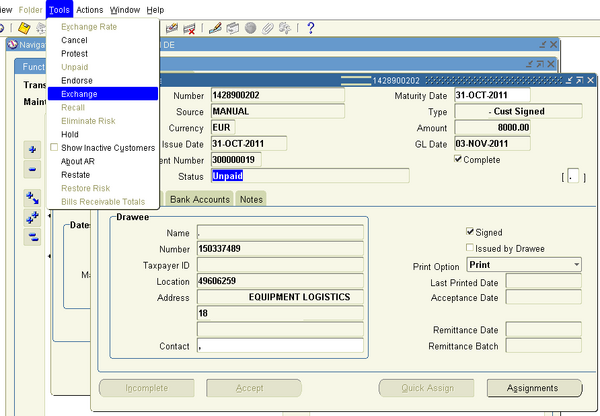 The Bills Receivable Portfolio Management window lets you display bills receivable transactions according to your selection criteria, and provides you with many tools to review, update, and manage the entire life cycle of your bills receivable portfolio. You can print bills receivable at different stages of the bill cycle. 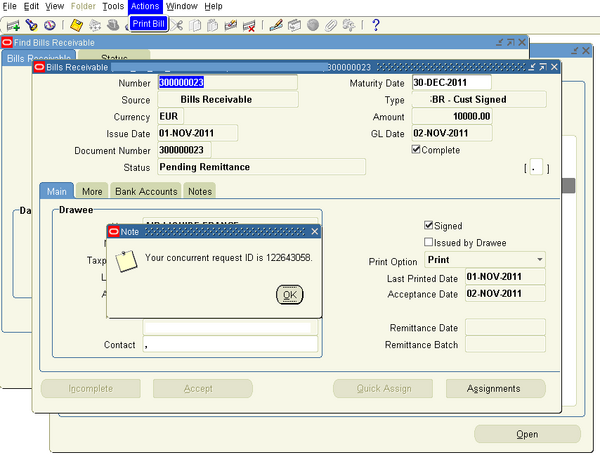 You can print bills receivable that require drawee acceptance individually or in batch after the bill is completed. You can also print bills receivable when you prepare a bills receivable remittance. 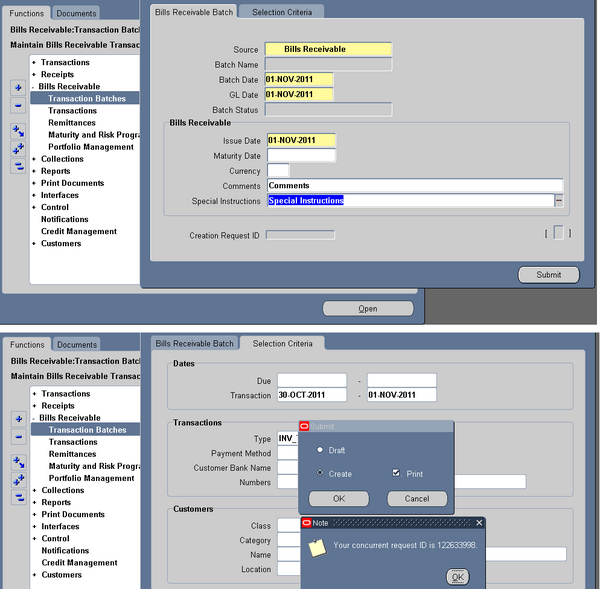 Use the Complete Bill button in the Bills Receivable window to complete a bills receivable transaction. 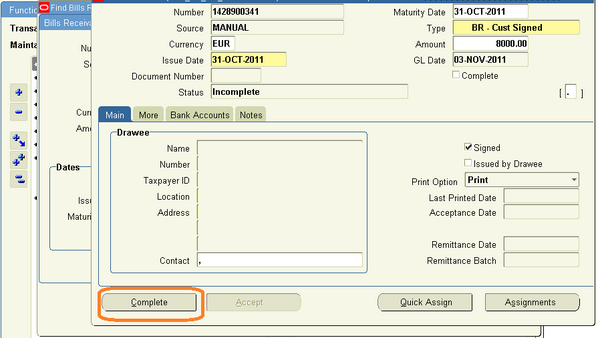 Similarly, You can return a completed bill receivable to the status Incomplete by using the Incomplete Bill button. 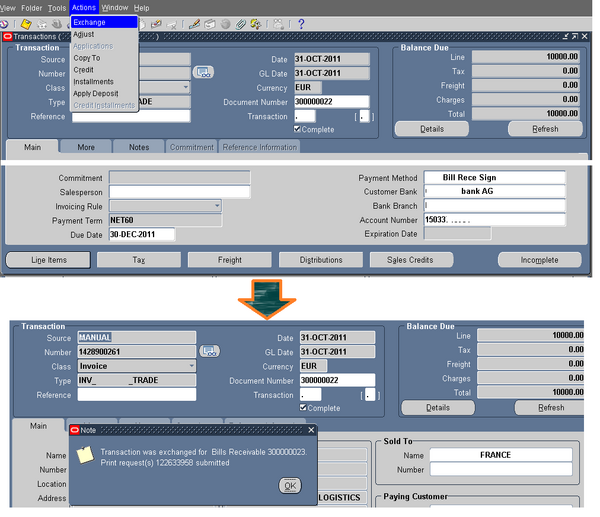 Use the Exchange option in the Tools menu of the Bills Receivable window or the Bills Receivable Portfolio Management window to exchange an unpaid bill receivable for a new bill receivable. You can only exchange for the full amount of the original bill. 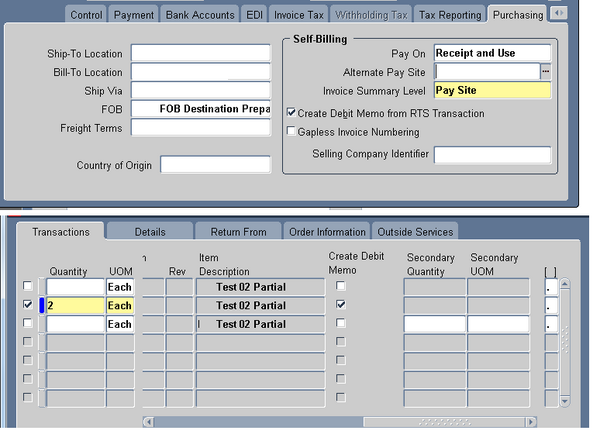 Use the Bills Receivable Transaction Batches window or the Bills Receivable Batch Creation concurrent program to select and group transactions to exchange for bills receivable. Batching transactions lets you automatically generate bills receivable and assign transactions marked with bills receivable creation payment methods to the bills. To exchange a transaction for a bill receivable using the Bills Receivable Transaction Batches window, the Bills Receivable Batch Creation concurrent program, or the Exchange action in the Transactions window, you must update the transaction with a bills receivable creation payment method. 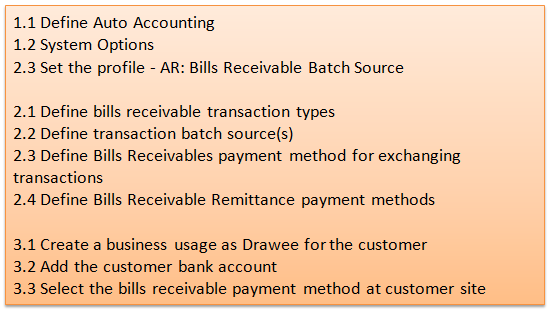 The currency, exchange rate, paying customer bank account, and the grouping rule assigned to the payment method determine how transactions are grouped into bills receivable. Bills Receivable: The bills receivable account for your transaction. Receivables uses this account when you exchange transactions for bills receivable. Factored Bills Receivable: The factored bills receivable account for your bills receivable transactions. neither been cancelled nor final closed. If the Quality module is installed, you can enter quality information. If you incorrectly added an asset, you can delete it from the system. You can only delete assets added in the current period. Once you run the depreciation and close one period for a book, system won’t allow you to delete any record. 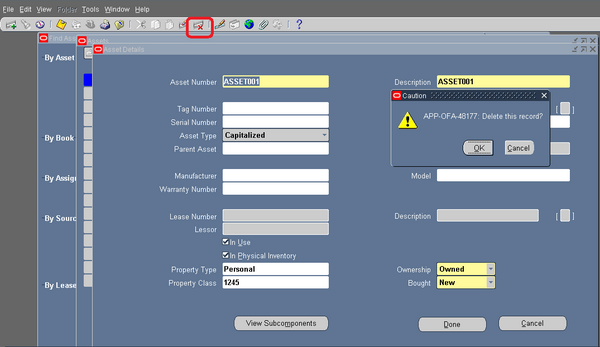 Assets added though mass addition can also be deleted manually.